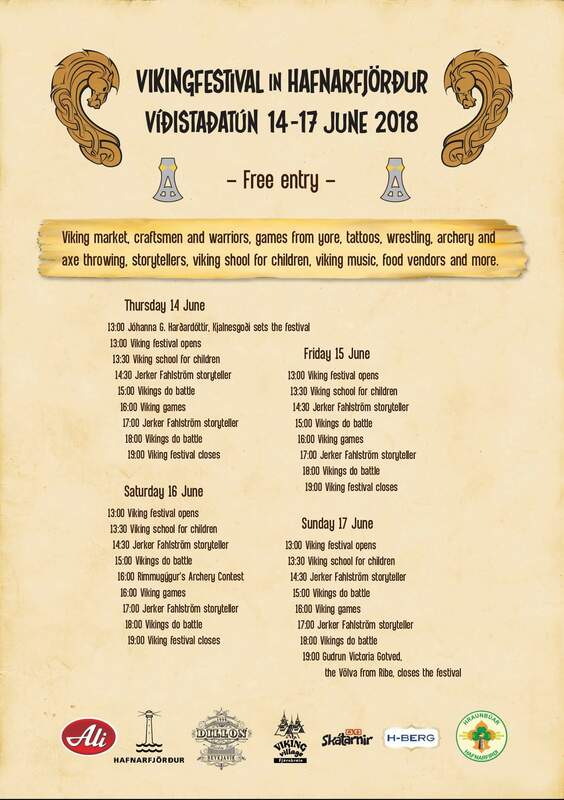 The festival will start Thursday 14th of June, and the last day of the program is on Sunday the 17th, which is also Iceland's Independence Day. The opening ceremony will start at 1 pm., where the Gothi of Kjalarnes will perform a ritual. The biggest attraction is always the Viking battles, performed every day at 3 and 6 o'clock. Entry is free. Location: Víðistaðatún, Hafnarfjörður (see on Google Maps).